Beantown is open! Our new registration is in place and so far is working very nicely. There are new payment options to choose from to hopefully make the process easier for everyone. There are also new discounts! The first tier sold out shortly after registration opened and the 2nd tier currently has only 4 places left. Go get ‘em! One of the housing choices has sold out, but there are still plenty of great options to choose from. Join us for an amazing dance vacation! 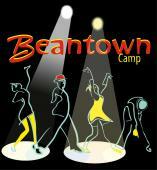 Beantown runs from June 28 to July 5th with multiple registration options to choose from. Register now to join dancers from around the country and beyond.